The Selz Affiliate Program enables you to earn industry-leading commissions by introducing new users to Selz. If you would like to join the Selz Affiliate Program please register your interest and we'll be sure to make contact. 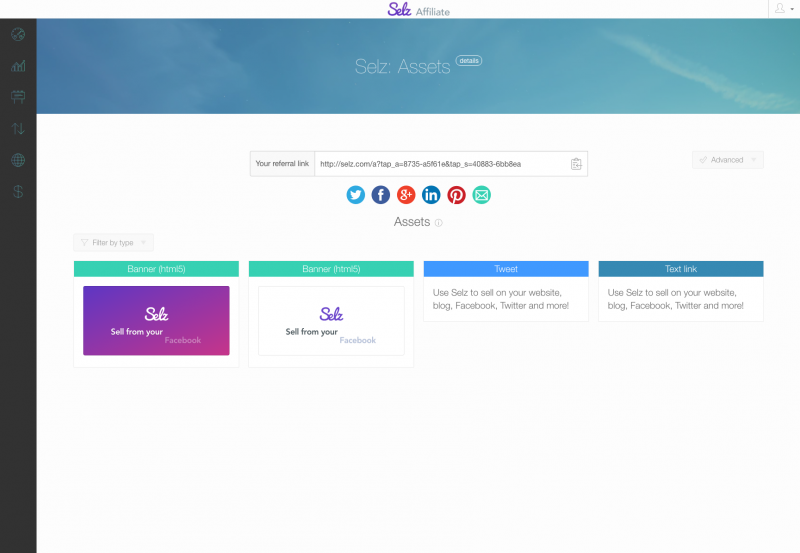 Once you have joined the Selz Affiliate Program you will have access to our Affiliate Dashboard. This is the simple and intuitive place to track all your referrals and commissions. It is also where your unique referral URL is stored, along with a range of banners to use on your website and social channels. 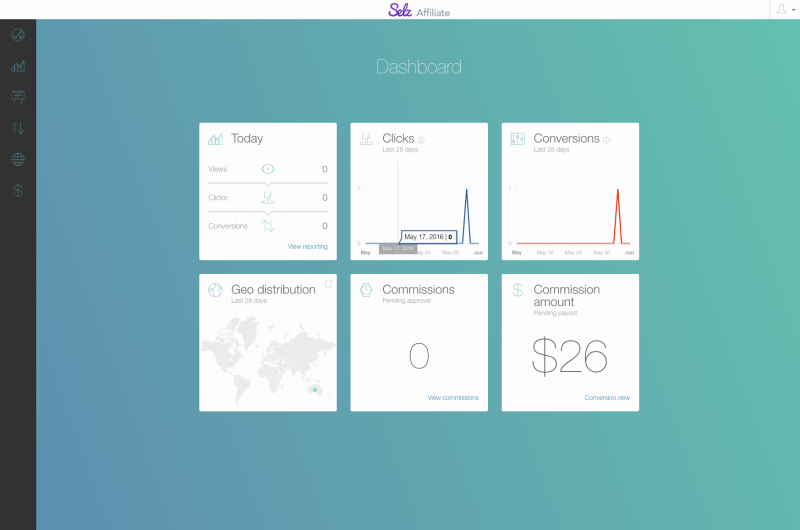 The first time you open your Affiliate Dashboard, you will be guided through the different screens. When in the Dashboard, click on Assets in the left menu. 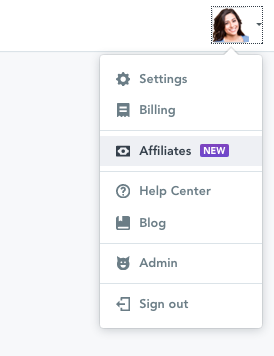 If you're part of the refer a friend program and the Selz Affiliate program, then you'll see a "Programs" button on the left instead of assets. Click on Programs, then on Selz. You'll see your Magic Link, as well as banner files in Assets. Just copy and paste your Magic Link whenever you want to share Selz. You can also use the social links to share. In this example, one referral was made. The referral paid for their first month on 2016/05/03 and 100% of that revenue was recognized as a commission amount. The referral paid for their second month on 2016/06/03 and 100% of that revenue was recognized as a commission amount. A gross amount of 200% of revenue. To see performance for each asset; click on Reporting in the left-hand sidebar, and then on Source. Your sources and reporting data per specific source will be divided by website. To use banners on your website or in your posts, navigate to the Assets page of your Affiliate Dashboard. All our banners are in an HTML5 format so that means they are responsive and will adapt to fit the viewer's browser, whether they are using a desktop, mobile or tablet. The banner ad will size itself to the space you provide on your website or blog. Just copy and paste the code for your selected banner into your website or blog and you're ready to start earning commissions.